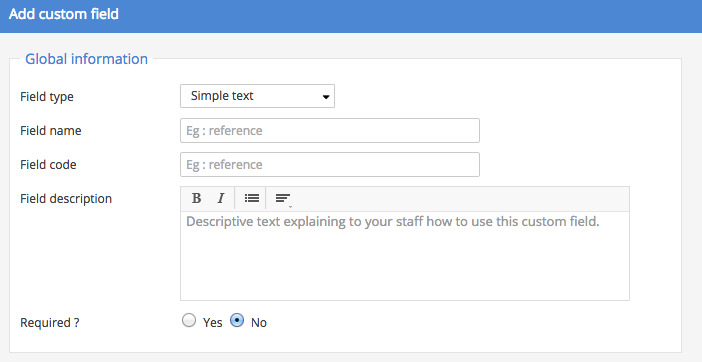 Custom fields allow you to customize the information displayed in your Sellsy database. Customer records, prospects, and suppliers. To add a custom field, click Settings, then click Custom Fields. On the next page, click on Add custom field. Many types of fields are available (see next section) and allow you to embed your business logic into Sellsy. In addition, you can use custom fields to filter your data, as you can choose what information to display in your lists. The following articles will give you all the information needed for optimal use of custom fields.